Weeknight dinners are difficult. Actually, anything that involves weeknights is tough- the getting homework done, the unpacking bags, the getting into the shower. Who knew that life could be so hard for kids. 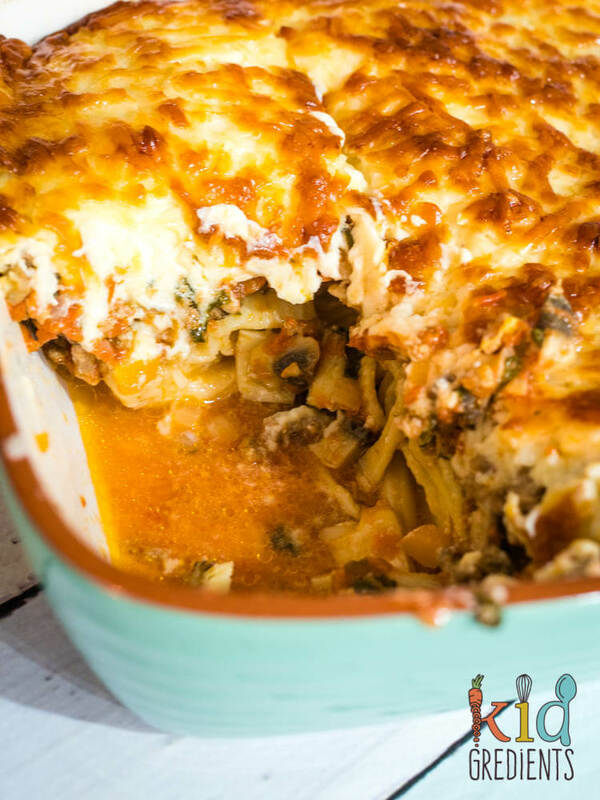 This lamb and veggie Greek style lasagne is delish and perfect for a nice sit-down dinner. My mum used to make a version of this when I was a kid. My grandmother made it too. 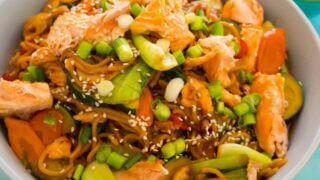 It was yummy and usually meant there were leftovers for the next 16000 nights. I’ve pulled the size of it way back so you get enough for one night, a dinner for the freezer (it says 12 serves, but my kids went back for seconds!). Mainly because I don’t love leftovers for days on end. This recipe might seem fiddly, but it’s no more so than a traditional lasagne. 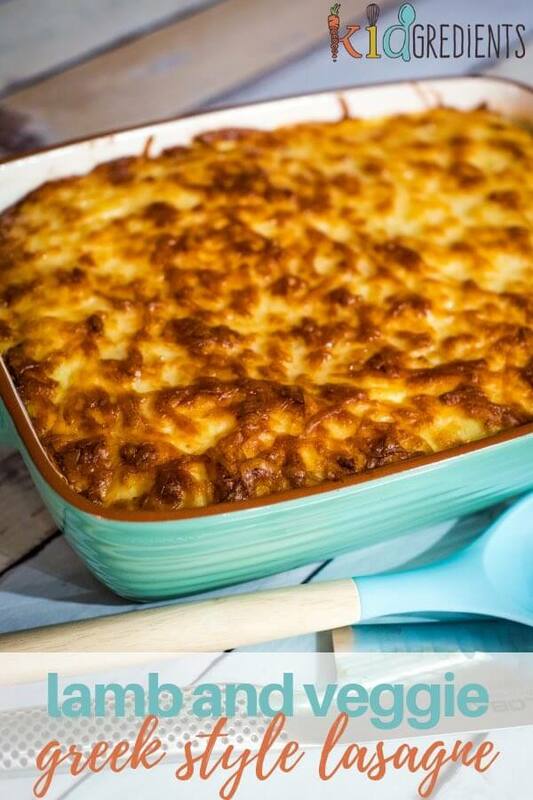 In fact, I find it much quicker than a traditional lasagne, but with just as much yum factor! 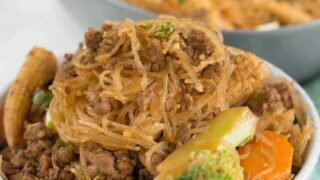 I often say I don’t veggie smuggle, and yes the meat sauce contains a lot of almost hidden veggies, but they are there! 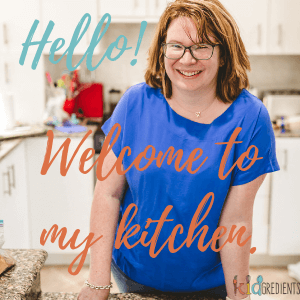 The kids know they are in there and I even tell them, which helps them to have trust in what I feed them and also helps them to see the importance of veggies. 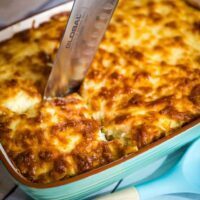 The creamy, cheesy top of this is super sneaky too- it’s packing way more protein into it than the standard top of a lasagne. 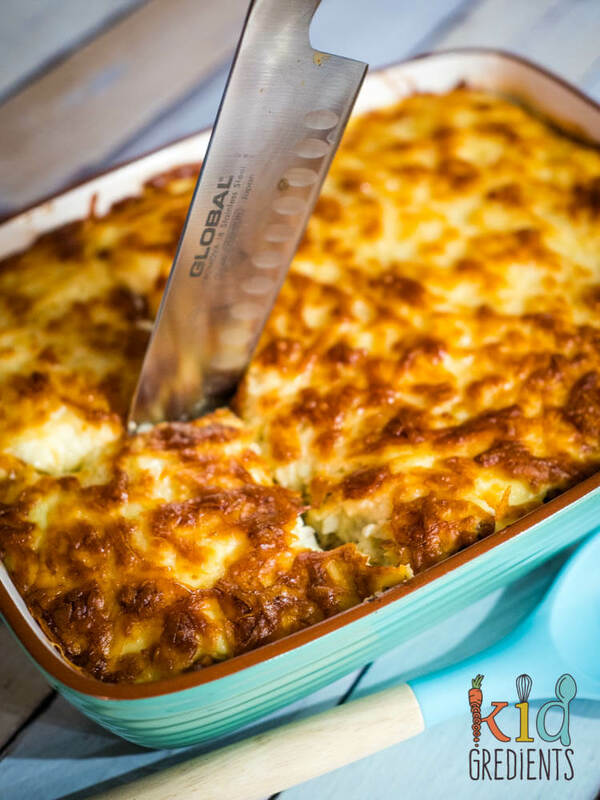 The eggs are awesome not only for adding protein, but for making the top of the lasagne even more delicious. 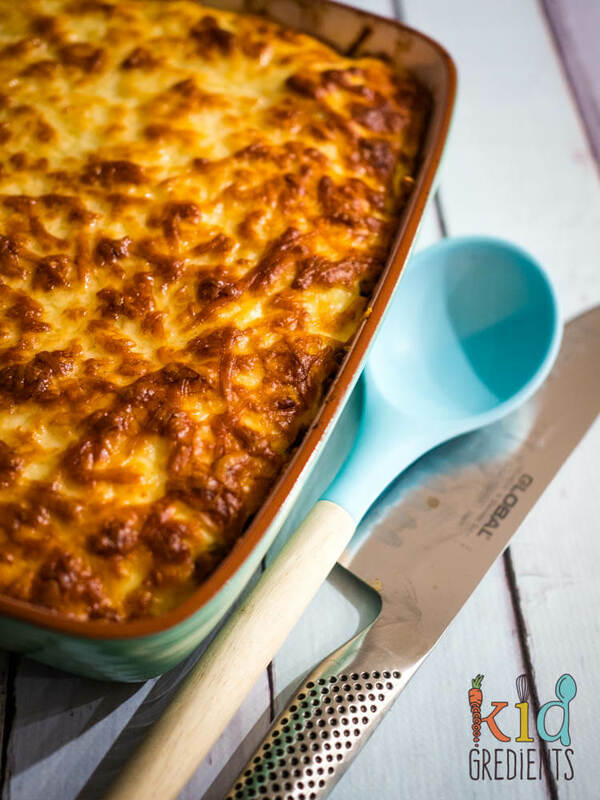 But back to this lamb and veggie Greek style lasagne….you can do it all up to the baking earlier during the day, or even the night before for rushed evenings, meaning you just have to do the final bake at dinner time. 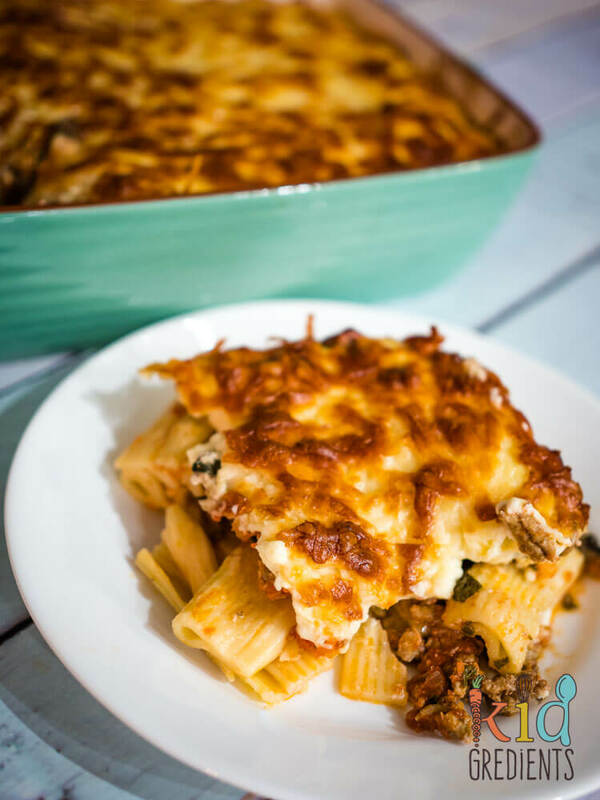 This lamb and veggie greek style lasagne is perfect for smuggling veggies and is an awesome weeknight meal. 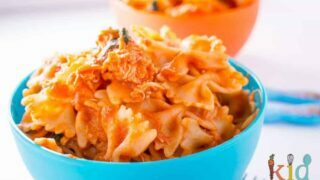 Makes leftovers- so freeze one! Heat 2 tbsps olive oil in a medium frypan. Add the mince and onion and cook until the mince has browned. Meanwhile put a pot on the stove and bring to the boil to cook the rigatoni as per the packet instructions. Add the diced tomatoes, mushrooms, carrot and spinach to the mince and cook until the pasta is ready. Drain the pasta and add the meat sauce to it. In a deep saucepan over medium heat, add the butter and the flour, stirring well until it forms a paste. Remove from the heat and slowly add the milk, whisking and incorporating it all and whisking out any lumps. Place back on low heat and whisk in each of the eggs individually. Cover with the cheese of your choice. Bake at 180 degrees celsius for 30 minutes or until golden and the sauce has set.